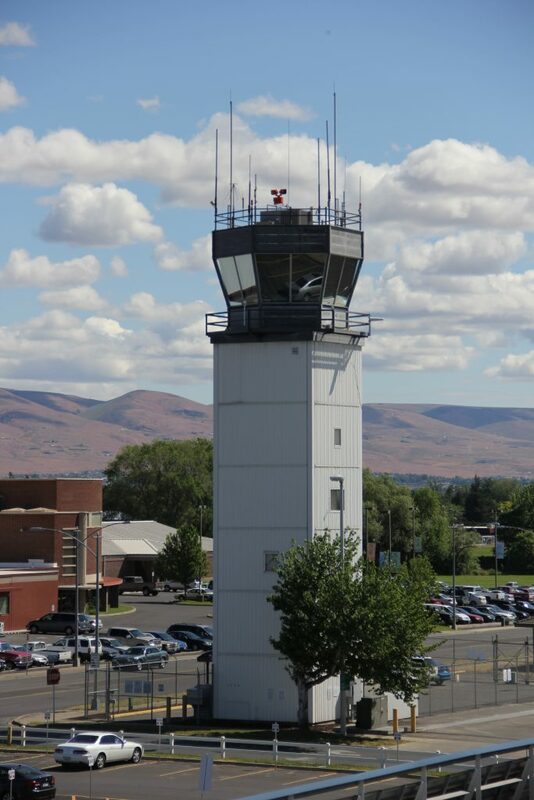 The control tower at Yakima Air Terminal-McAllister Field is part of the FAA contract tower program, with Air Traffic Control services provided by Serco Inc., a division of Serco Group, plc. one of the world’s leading and most admired service companies. The Air Traffic Control staff at YKM have decades of experience controlling military and civilian aircraft in locations from as far away as the Persian Gulf, the Azores, the Philippines and the United Kingdom to locations closer to home, such as Whidbey Island, New Jersey, Fallon, NV and many airports in between. We value your opinions, so please let us know how we are doing! An ATC services survey can be completed online by clicking the button below or it can be downloaded here. The YKM Air Traffic Control Tower manages over 39,000 aircraft that takeoff and land at the airport per year. Given YKM’s central location in Washington State, we witness a wide variety of aircraft such as Boeing 737 test flights, C-17 Globmasters, P-8 Poseidon, P-3 Orion, FedEx, UPS, G-5 Gulfstream corporate aircraft to smaller Cessna 172 Skyhawks. For more information regarding the actual number of operations please visit the link below. Air Traffic Control Tower tours are available depending on the current security condition. Tours must be coordinated in advance with the Air Traffic Manager and participants must be United States citizens.